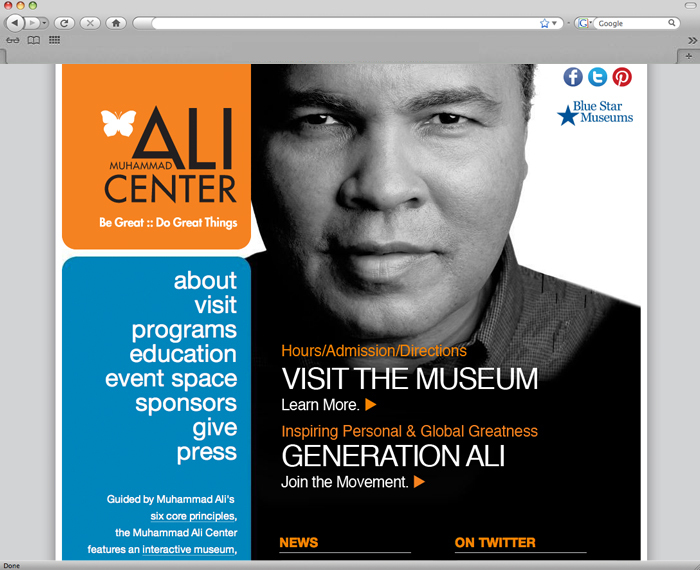 The Ali Center, as a non-profit, needed to better leverage the Muhammad Ali brand online. Client also wanted a brand strategy that would bridge the gap between Muhammad Ali the boxer of the past, and the humanitarian celebrity of today. 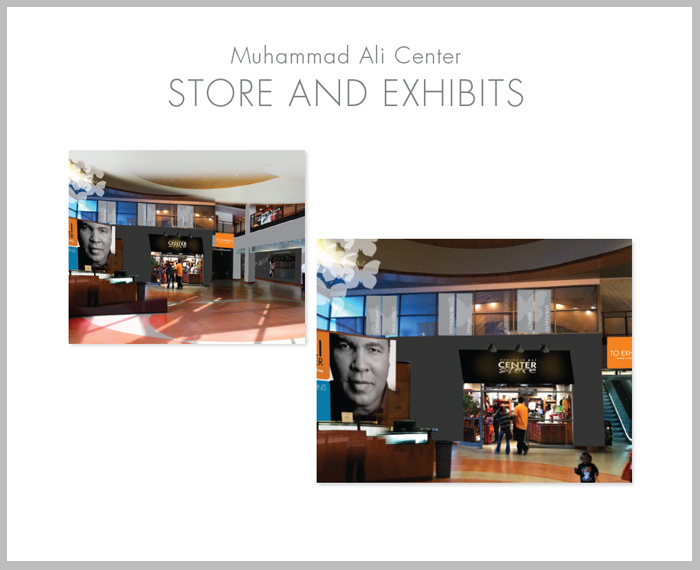 We first created a new brand strategy that clearly recognized the Core Brand Culture of the Muhammad Ali name. A new website was designed along with a digital identity for the Generation Ali social responsibility brand. We also launched multiple social media platforms to target different demographics that would eventually drive traffic to the Ali Center itself and made recommendations to bring their new brand to life in their space. All of our work was based on the internal culture and goals at the Center and we worked closely with the team to execute against their core goals and objectives. Envision was recognized for its work on the Ali Center's website with the International Academy of Visual Arts Communicator Award.